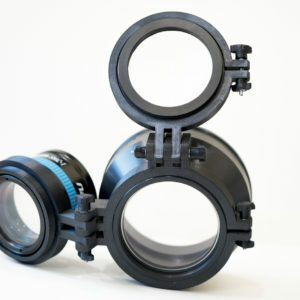 other macro lenses with a outer diameter of 70mm (2.75 inches) – the lens is not screwed in the adapter, only the diameter of the lens is important, not the thread) – if you have on e of these lenses, choose the INON UCL 165 M67 / Dyron option. The Flip-Mount can be mounted by hand – NO TOOLS NEEDED ! 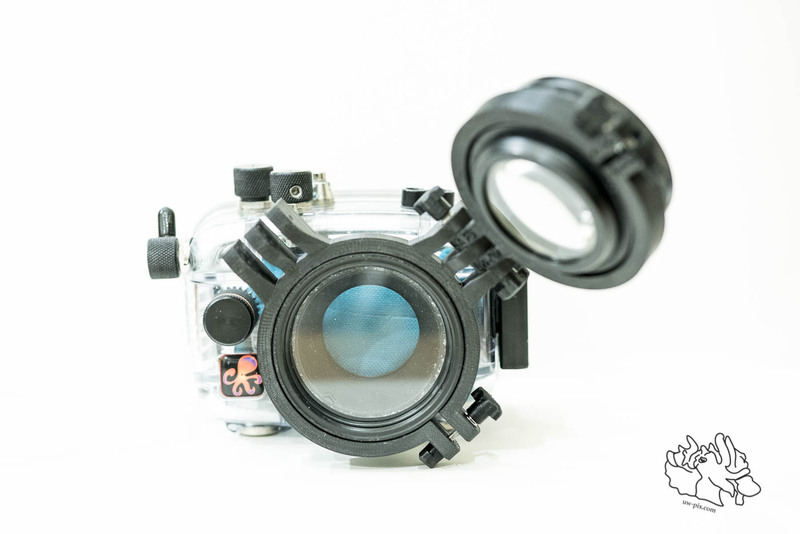 With this wet lens holder, it is very easy to use a macro lens while diving without having to screw and unscrew the diopter. 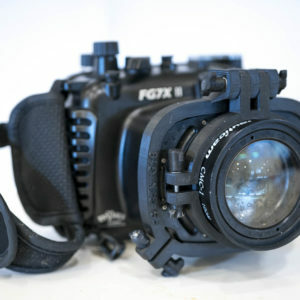 Unlike with other adapters, the 67mm thread of the port can still be used and a wide-angle converter lens could be screwed into the prot in addition to having the Flip-Mount on the housing. 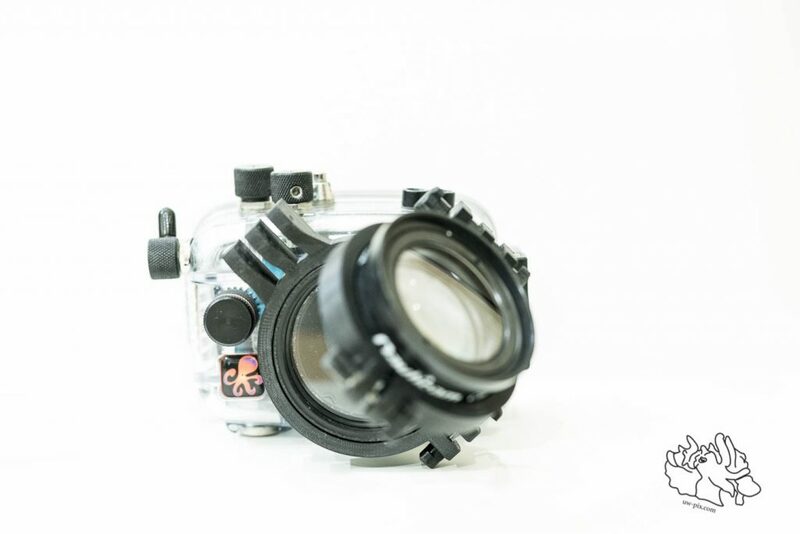 The Flip-Adapter is 3D printed out of durable ABS plastic and is very light – ideal for travelling! No tools are needed to attach the Flip to the housing, everything can be done by hand! 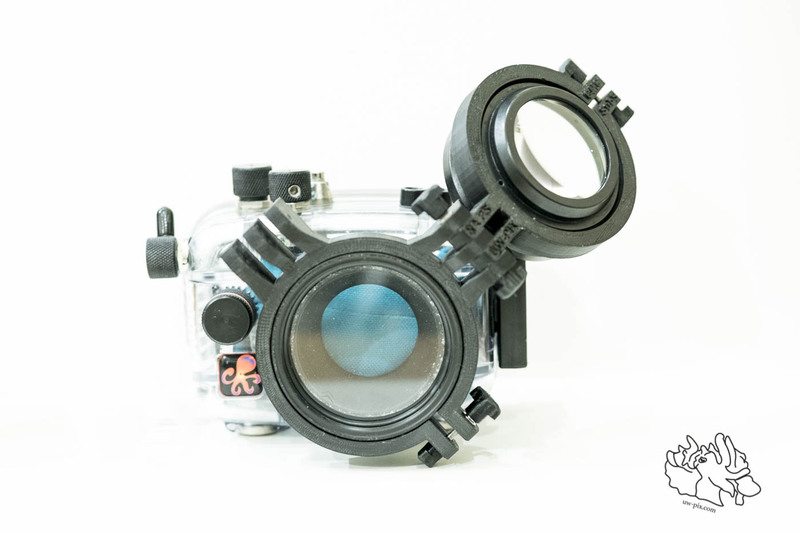 Nauticam CMC and Ikelite housing are not included in the shipment.